The codename of the Xbox 720 has been revealed as 'Loop', by people who are in the loop about these kinds of things. 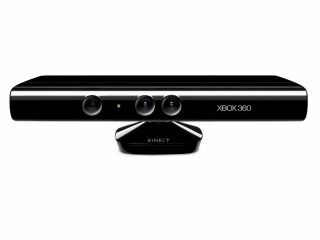 Noted Microsoft nerd MS Nerd outed the name, claiming that the long-awaited console will be "far smaller", cheaper and quite Kinect-focused when it finally lands on our shelves. So far, so Wii. The Xbox Loop's innards will apparently feature a modified Win9 core, with a custom-designed ARM-based processor that has dedicated assistant cores to deal with graphics, AI, physics, sound, networking, encryption and sensors. "It will also demonstrate how Windows Phone could possible [sic] implement Win9's dev platform on the lower end," he added. But what do we think of that codename? Malcolm Tucker commented, "S&"£*!£, Xbox Loop is @&!93*." And we agree - it's a bit uninspired. Xbox 360 spoke of circles and loops, we're ready for something a bit more exciting. Perhaps Microsoft has something a little less dated in mind for the Xbox Loop's official launch monicker. Sadly there's no indication coming of exactly when that launch will be; our best guess is still 2015, after Microsoft's public comments that the Xbox 360 will have at least a 10-year lifespan. Unfortunately MS Nerd doesn't cite any sources or explain in any way how he came by this juicy Xbox Loop information, but the blog's excellent reputation and Microsoft nerdery make us inclined to believe the rumours. Speaking of rumours, get up to date on every other bit of internet speculation and Xbox Loop related gossip in our rumour round-up here.